There are many types of plants and people often have strong views over what they like and dislike. Choosing a style of planting that suits you and your particular garden situation is important. To achieve the best outcome, a thorough consideration of your requirements is essential. Planting changes over time and with the seasons. Planning the planting to develop and grow in a way that fits with the overall garden design is a key design consideration. Sometimes the planting itself is the focus of the garden design, and sometimes the planting is combined in ways to frame views and to create shade, shelter and privacy. Both native and exotic plants have a place in our gardens. Using native plants helps to increase the diversity and habitats for our native wildlife. And natives plants are often hardy. However, natives are not always the best option and exotic species also have a part in our environment and garden history. Many clients are after low maintenance gardens. Minimal watering, minimal weeding, more free time to enjoy their outdoor living spaces! Some maintenance of a garden is always required, but with the careful choice of plants and the design of hardscaping features this can be kept to a minimum. 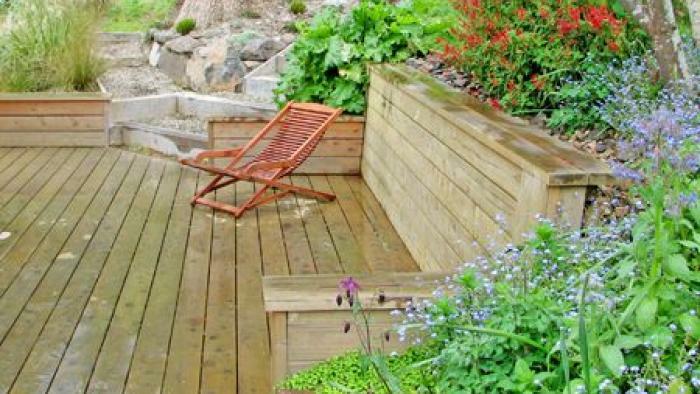 We generally suggest a native New Zealand garden design using native plants for this style of garden. Native plants usually are better able to take care of themselves in our climate, needing very little added nutrients or care on an ongoing basis. Bring the native bush to your house - provide you and your family with a sense of escape, while providing the native wildlife with much needed local habitat. Native plants also have the added benefit of generally taking care of themselves - very low maintenance is usually required! Many clients now want an edible garden as part of their overall garden design. There are many suitable garden plants that not only produce great food, but also look stunning and add interest to the garden. These can include fruit and nut trees, vegetables and herbs. We appreciate that many people have limited time for garden maintenance. And sometimes space is critical. We aim to integrate edible gardens with your lifestyle, making it easy for you to enjoy fresh food from your garden.